Dalwhinnie single malt whisky is produced in the village of Dalwhinnie in Scotland, which sits at an altitude of 351 meters. As you can probably imagine, Dalwhinnie is a very cold place up high in the lush green countryside of Scotland and the whisky produced in the little village by the Diageo owned Dalwhinnie distillery is consistently in tune with this pristine image – a fresh, crisp and clean single malt. While much of the whisky that the Dalwhinnie distillery produces is used to make blended whisky Diageo also releases Dalwhinnie single malt whisky, a 15 year old and a “Distiller’s Edition”. The “Distiller’s Edition” is a peated malt whisky that has been finished in Oloroso sherry casks. Soft peat sits beneath juicy barley, vanilla, honey, peach, orange peel, lime, wilted roses and overtones of wafting Oloroso dryness. The peat is very subtle. Forget Islay or a big smoky malt. The peat in this whisky adds a grassy and hay-like dimension to the whisky. The alcohols are somewhat piercing, as the vapours grind and scratch in the otherwise fragrant bouquet. The peat is more prominent on the palate than the nose suggests but it is counterbalanced by sugars – honey especially – cinnamon, nutmeg and cocoa dusted orange segments. Floral and grassy notes emerge at mid-palate, and linger into the finish. The presence of sherry is soft, but certainly noticeable. The finish is astringent and drying, the fading grassy/floral notes are slowly replaced by more crystalline sugars, liquor filled dark chocolates, spice and cooked steaming hot rhubarb. Consider it. This whisky was very easy to drink, but it did not impress me any more than any other easy drinking whisky. The use of peated barley to make this whisky and having finished the whisky’s maturation in Oloroso sherry casks gives it an added complexity, grassiness and dryness that the standard Dalwhinnie offering simply does not have, but despite the added bells and whistles the whisky did not put a big fat smile on my face. It kept me content. The whisky did seem to change once opened, and the honeyed cream undertones that once jumped out in this whisky now flicker much more dimly. 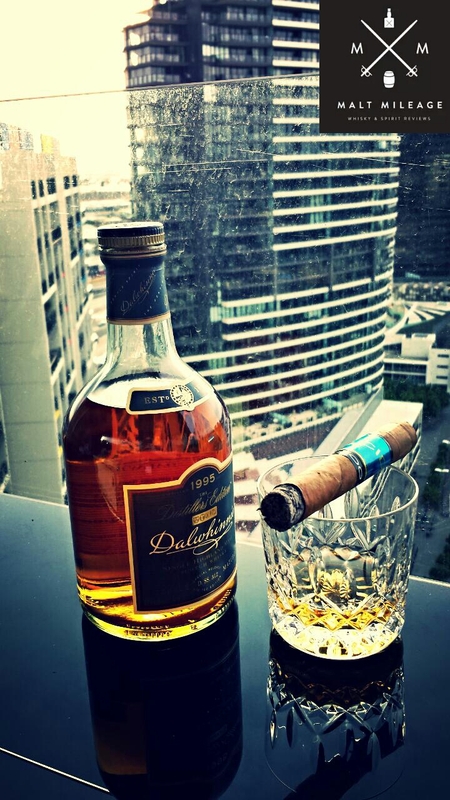 The Dalwhinnie “Distiller’s Reserve” paired with a honey infused cigar, such as a Drew’s Estate ACID 1400CC. The honey infused tobacco smoke in the ACID cigar complimented the peat and honey notes in the whisky. This entry was posted in Highlands and tagged acid cigars, malt, Scotch, whisky. Bookmark the permalink. 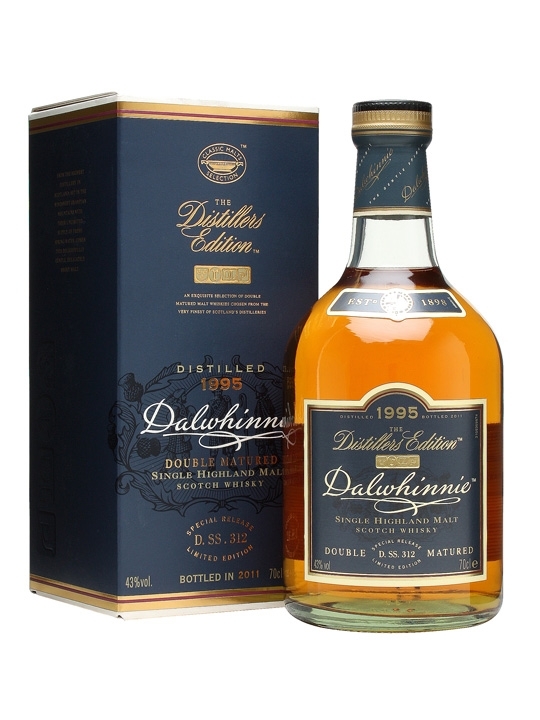 I’ve always been a bit ‘meh’ towards the Dalwhinnie 15 YO, but when I visited the distillery I tried this one and my reaction was: “this is more like it Dalwhinnie!”. There’s just more to it – a dryness, a spiciness; your grasssy, hay-like description is spot on!